Great apartment in a perfect location. Hosts were absolutely amazing and went out of their way to provide an exceptional level of service. I would highly recommend this apartment when staying in Budapest. Beds were very comfortable.Hosts were very nice.Location is really good. The apartment was just as described in Booking, fully equipped with kitchenette and bathroom towls and soaps. Working computer, TV set with cassettes. Even had different connectors for electricity. Towels were changed to clean ones in after few days. The hosts were very flexible according to our needs and very helpful and nice. The hosts waited for us with the keys as we arrived. The location is perfect, there are nearby public various transportation options. Walking distance from all main attractions. Everything else! 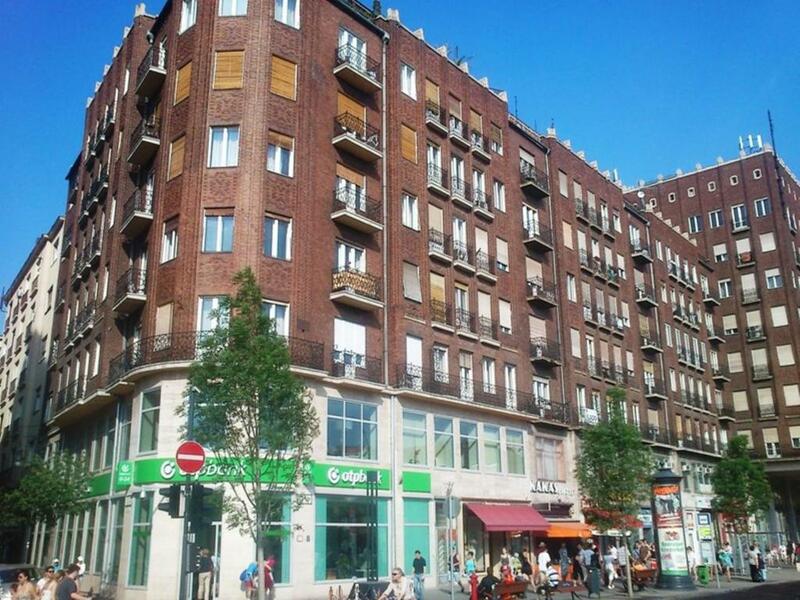 Very good location, fully equipped apartment, friendly owners, nearby shops, food places everywhere! Warm and friendly welcome. Helpful advice on restaurants. nice location, friendly host, also very clean. All I need can find in this apartment. I will choose here if I back to Budapest. Really recommend here. Lock in a great price for Paprika Apartment In City Center – rated 9.8 by recent guests! These air-conditioned apartments with free WIFI internet access are located right in the heart of Budapest, next to the Deák Ferenc tér metro, bus and tram hub. All units of the Paprika Apartments In City Center have a fully equipped kitchenette with tea and coffee making facilities and a private bathroom with a washing machine. A desktop computer is also fitted in all apartments. Within a 3-minute walk from Paprika Apartments in City Center you can reach the UNESCO-protected Andrassy Boulevard and the famous Váci utca shopping street. The synagogue and Szent Istvan Basilica are also located in the immediate vicinity. The 100E direct bus line connecting the airport with the city center and the airport shuttle for Wizz Air flights stops at a bus stop in the immediate vicinity of Paprika Apartments. The sightseeing busses stop at Deak Square, few steps away from the property. The main attractions like the Heroes’ Square, the Parliament, the Széchenyi Bath, the Chain Bridge and the Buda Castle can be easily accessed by public transport. 뀐 Located in the real heart of Budapest, this property has an excellent location score of 10.0! When would you like to stay at Paprika Apartment In City Center? Please note that the room rate is based on 2 adults. Maximum occupancy is 2 adults and 1 child up to 150 cm in height. A Paprika Apartman Budapest szívében, a nyüzsgő belvárosban található, egy lépésre a legfontosabb nevezetességektől, és a több mint 600 szuper étterem, romkocsma közelében. A környék kiemelt figyelemmel bír, így nagyon biztonságos. Közvetlen a szálláshellyel szemben található egy supermarket, amely hét minden napján -ünnepnapok kivételével- reggel 6 órától este 10 óráig nyitva tart. House Rules Paprika Apartment In City Center takes special requests – add in the next step! Paprika Apartment In City Center accepts these cards and reserves the right to temporarily hold an amount prior to arrival. Upon arrival please use doorbell no.14 to access the building. Please inform the hotel in advance about your estimated time of arrival to arrange pick-up of the keys. Please inform Paprika Apartment In City Center of your expected arrival time in advance. You can use the Special Requests box when booking, or contact the property directly using the contact details in your confirmation. Amazing location, great hosts and room. Nothing, the room was really good and answer all our needs. a litte noise at nights...but the average is ok.
well located. just in the middle!!!!! Nothing for us, unless you have problems with falling asleep.